Roland Barthes in A Lover’s Discourse observes that “to try to write love is to confront the muck of language: that region where love is both too much and too little, excessive (by the limitless expansion of the ego, by emotive submersion) and impoverished (by the codes on which love diminishes and levels it).” Barthes and Terdiman seem to agree that love and to write about love is to be excessive: both too much and too little. In his recent novel, A Familiar Rain, John Geddes explores the problem of love and loss: the problem being one where we strive to return, always, to a love lost. 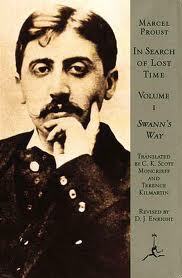 While reading A Familiar Rain, I was also reading and writing about Marcel Proust’s In Search of Lost Time; more specifically, I was writing about The Fugitive, a book that opens, “Mademoiselle Albertine is gone,” and narrates the loss of Albertine and Marcel’s reactions. In A Familiar Rain, we are presented with a protagonist who falls in love and loses his first love. Throughout the novel, he is researching memory and returning to our memories (at times the novel seems to recall H. G. Wells’ Tono-Bungay). Of course, the novel illustrates the problems of this search for lost time. This entry was posted in Love on August 28, 2011 by Jonathan Allan. As readers here likely already know, I have published an article on Northrop Frye and Harold Bloom’s relationship and how they react to one another. 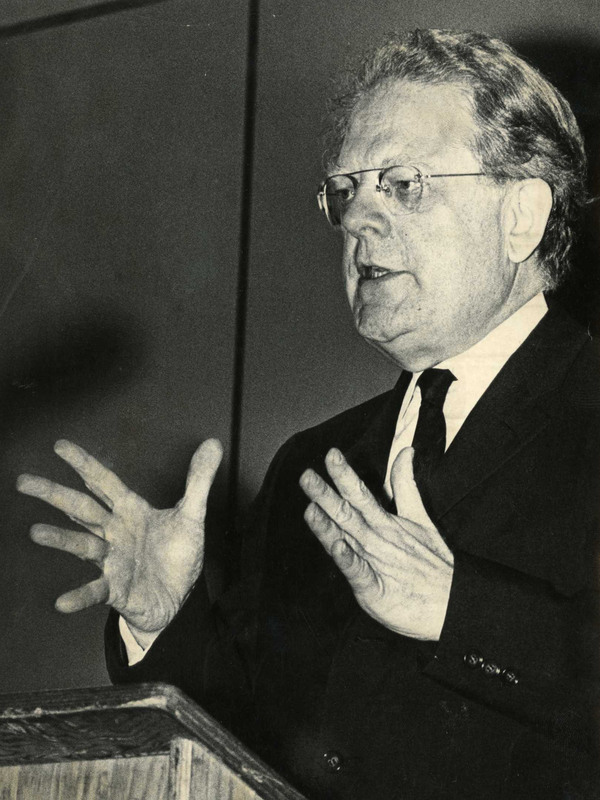 In my article, I demonstrate how Bloom was theorising influence through a series of letters to Northrop Frye. However, unlike earlier critics of the relationship, I also argue that Frye was influenced by Bloom. and that we must now begin to think about what it means to have influence, in other words: the anxiety of influencing. 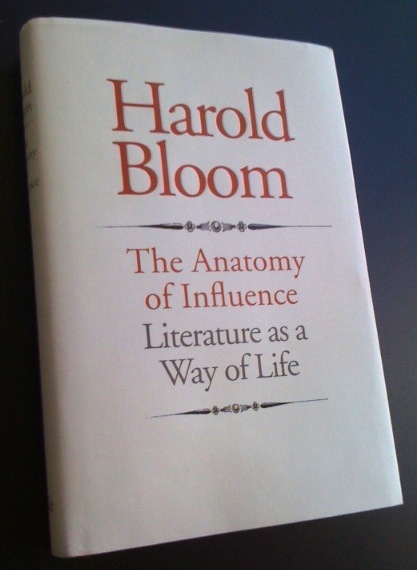 Frye’s readers will surely find Bloom’s book of particular interest, not merely because of the relation between the two, but because it is positioned as a final statement on the problem of influence. And, in many ways, Bloom returns to the powerful critic he once was and evidently continues to be. This entry was posted in Frye and Contemporary Scholarship, New on the Shelf on May 25, 2011 by Jonathan Allan. 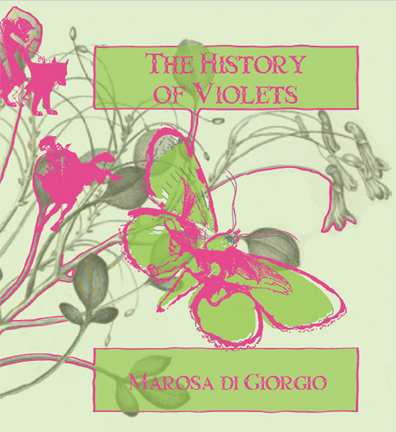 Jeannine Marie Pitas has recently translated a small book of poetry called The History of Violets by the Uruguyan poet Marosa di Giorgio. Though a slim volume, the poetry is powerful and ripe for analysis. 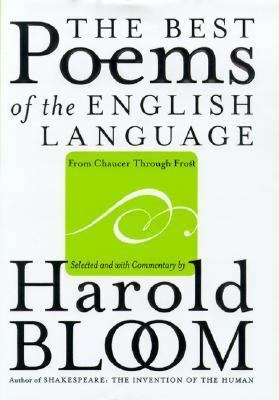 In her introduction, Pitas writes: “For me, her poems recall the British Romantics – Wordsworth’s image of a child terrified by a jutting crag in his Prelude, or Blake’s awe before the little lamb’s innocence and the burning tiger’s power” (viii). These poems stand out because of the imaginative power of a poet whose voice, whatever its sources, seems wholly her own. Though I have not yet found the time to give the poems the critical attention they deserve, I can hear echoes of Frye’s Blake throughout. As a scholar trained in Latin American Literature, I continue to believe that Frye has a great deal to teach us about a literature with which he evidently had little familiarity beyond an appreciation for Jorge Luis Borges. Just as the appeal of literature is universal, so are its archetypes and expression of prevailing human concerns. When it comes to these two literary elements, Frye remains most relevant to the study of world literature. You can order The History of Violets here. Review here. Di Giorgio reading one of her poems after the jump. This entry was posted in News, Poetry on February 25, 2011 by Jonathan Allan. The Centre for Comparative Literature is proud to present two lectures by Northrop Frye Professor in Comparative Literature for 2010-2011, Carol Mavor: Wednesday March 9 and Thursday March 10, 5:30, Jackman Humanities 100. 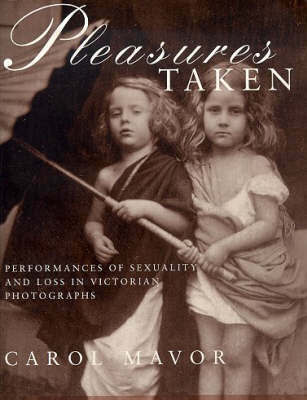 Carol Mavor is Professor of Art History and Visual Studies at the University of Manchester, England. Mavor is the author of four books: Reading Boyishly: Roland Barthes, J. M. Barrie, Jacques Henri Lartigue, Marcel Proust, and D. W. Winnicott (Duke UP, 2007), Becoming: The Photographs of Clementina, Viscountess, Hawarden (Duke UP, 1999), and Pleasures Taken: Performances of Sexuality and Loss in Victorian Photographs (Duke UP, 1995) and Black and Blue: The Bruising of Camera Lucida, La Jetée, Sans soleil and Hiroshima mon amour, is forthcoming from Duke UP (2011). Her essays have appeared in Cabinet Magazine, Art History, Photography and Culture, Photographies, as well as edited volumes, including Geoffrey Batchen’s Photography Degree Zero and Mary Sheriff’s Cultural Contact and the Making of European Art. Her most recent published essay is on the French child-poet Minou Drouet. Mavor’s writing has been widely reviewed in publications in the U.S. and U.K., including the Times Literary Supplement, the Los Angeles Times, and The Village Voice. She has lectured broadly in the US and the UK, including The Photographers’ Gallery (London), University of Cambridge, Duke University and the Royal College of Art. 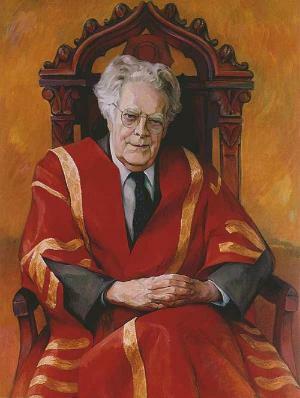 For 2010-2011, Mavor was named the Northrop Frye Chair in Literary Theory at University of Toronto. Currently, Mavor is completing Blue Mythologies: A Study of the Hue of Blue (forthcoming from Reaktion in 2012). Blue Mythologies is a visual, literary and cultural study of the color blue. Blue is a particularly duplicitous colour. For example, blue is often associated with opposites or near opposites: like joy and depression; or the sea and the sky; or infinite life and death. Mavor’s approach is semiological, as prescribed by Roland Barthes’s Mythologies (1953). “Mythology,” because it is truth disguised as fiction and fiction disguised as truth, is, by definition, as duplicitous as blue. The subjects are mostly Anglo-European and include a full range of blues: Chantal Akerman’s 2000 film La Captive; the Aran islands off the coast of Western Ireland; cyanotypes and blue Polaroids; the Australian Satin Bowerbrid; Agnes Varda’s 1965 film Le Bonheur; Roger Hiorns Seizure, the 2006 installation of copper-sulfite crystals grown to cover an entire London bed-sit; Krzysztof Kieslowski’s 1993 film Blue; Werther’s Goethe (1774), Novalis’s Henry von Ofterdingen (ca. 1799-80) and Bernardin’s Paul et Virginia (1787). Nevertheless, the research includes blue in non-Western contexts: for example, Krishna’s blue skin in eighteenth-century Jodhpur painting or the powder-blue burqas in Samira Makhmalbaf’s 2003 film, At Five in the Afternoon. This entry was posted in Centre for Comparative Literature, News on February 10, 2011 by Jonathan Allan. This entry was posted in Education, University of Toronto, Victoria College on December 14, 2010 by Jonathan Allan. I have recently posted on my concerns regarding a series of donations made to the University of Toronto by benefactors like Peter Munk, Leslie Dan, and Joseph Rotman. Even given all of the ways we might characterize their generosity, the issue that remains most important is the essence of the university. What precisely is the purpose of the university and what are its goals? What is the role of the university in society? In an age of global capitalism, it seems all the more important to ask such questions. It may be that I am nostalgic for a time I never knew, when the university was assumed to be the epicentre of thought, and whose value to the public good was never in question. Even so, I still want to ask the question: what is the university? Northrop Frye writes that “a university is not, like a church, a political party, or a pressure group, primarily a concerned organization” (CW 7, 401). I wish all universities would work this principle into their Statements of Institutional Purpose. The university is not a political faction, not an ideological platform, not a pressure group, not a corporate enterprise. As Frye says, “the university itself stands for something different: it is not directly trying to create a certain kind of society. It is not conservative, not radical, not reactionary, nor is it a façade for any of those attitudes” (CW 7, 401). This is may be the kind of university setting some of us long for. Today, however, the university is increasingly caught up in the special interests of its private and corporate benefactors. Where does this lead us? 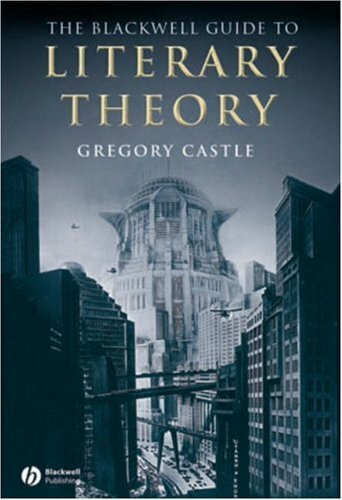 Perhaps we must return to Frye’s singular vision of authority: “[t]he authority of the logical argument, the repeatable experiment, the compelling imagination, is the final authority in society, and it is an authority that demands no submission, no subordinating, no lessening of dignity” (CW 7, 403). And the notion of an authority like this one must be defended by the the most senior administrators at the university: the President, the Chancellor, the Principal, the Provost, the Deanery. 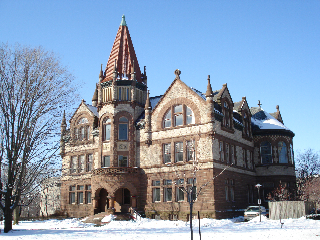 In this regard, the university is, as Frye would have it, the closest to a utopian space as we can manage, and it is therefore an ideal we must strive to realize today as much as we ever did in the past. This entry was posted in Education on December 4, 2010 by Jonathan Allan.